The Baton rouge, Louisiana community of dance is a beautiful thing. With so many different personalities and backgrounds, the people who love dance find meaning in another's arms as they rhythmically move across the dance floor of life. I'm new to Baton Rouge and i used to go country dancing back in texas, im 18 and have a boyfriend and wanna teach him to 2-step and line dance. I am interested in 2-step dance lesson for social events and night clubs. 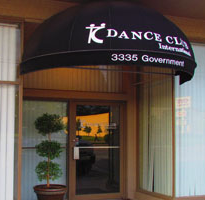 This will be a first time dance class. I am looking for a class or group in my age range—55yr—up.